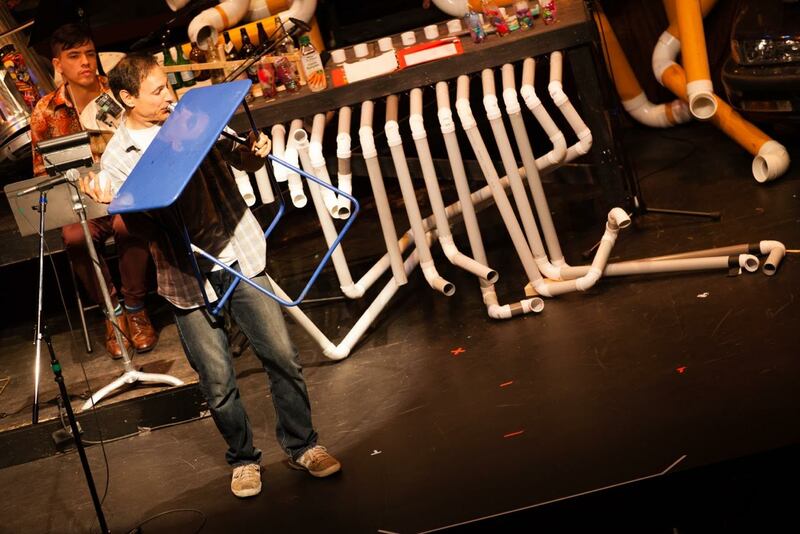 “The Music of Junk” is a fun, energetic show that features eleven musicians playing instruments such as ‘garbage bag’ bagpipes, a ‘wheelbarrow’ bass, and a harp made from an old bed frame, and even a saxophone made from an old bike. 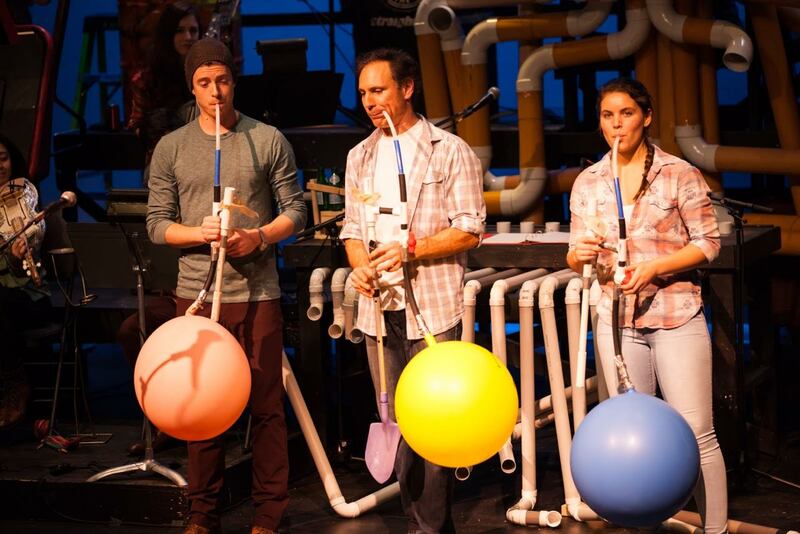 Yes, instruments built from junk and recycled materials! Original compositions by Canadian composer and creator Paul Snider are performed during this 120-minute, unique show. 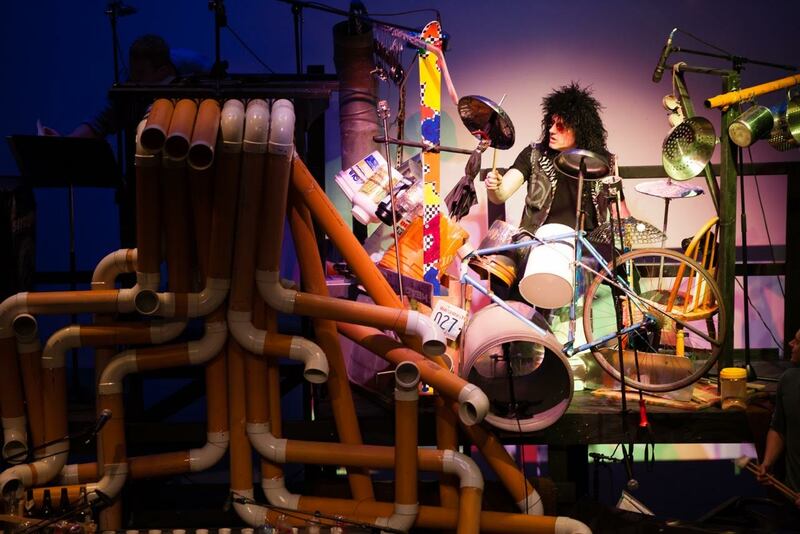 Stories of the junkyard unfold through a wheel barrow bass, a garbage can cello, a bed frame harp, PVC tubing, an automobile drum, different types of percussive instruments and much more junk, all adding to the originality of this orchestra of the imagination. Creator Paul Snider got the idea of making instruments during a trip to Kenya, where he saw people recycling trash for all sorts of useful things. Hence his inspiration, he made all the instruments himself from items of garbage and composed the music. 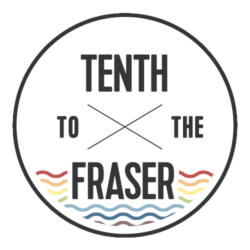 The final result of his creativity is a new musical, “The Music of Junk” – a family show littered with fun and toe tapping tunes.